Jet Shades | Removable Tinted Panels Block UV/Glare/Heat While Flying! Protects Pilots from UV, Heat, and Glare While Flying! Take a test flight with Jet Shades owner Kevin Duggan and Youtube sensation BaronPilot as they put brand new Jet Shades for Cirrus to the test. Larry Angilsano – Editor, Aviation Consumer magazine. Read the full article. Watch Rick from Personal Wings, Inc. perform a test flight with Jet Shades™ for Eclipse 500/550. To be featured in upcoming March 2019 issue of Twin & Turbine. Are you at risk because of chronic exposure to UV radiation and sun glare? 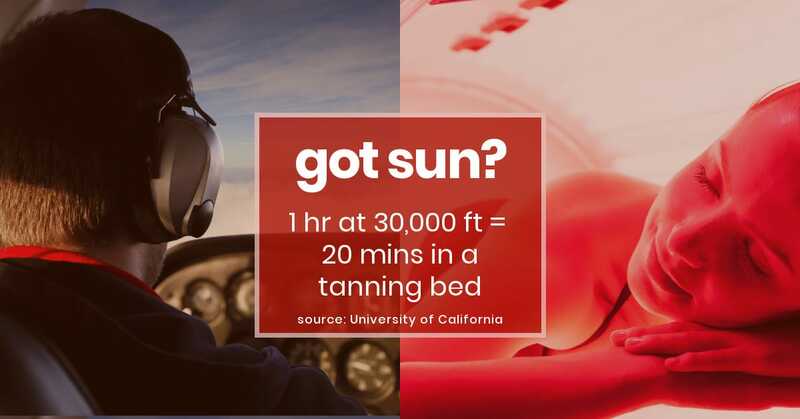 Did you know that spending just one hour behind the controls at 30,000 feet is the equivalent of 20 minutes in a tanning bed? 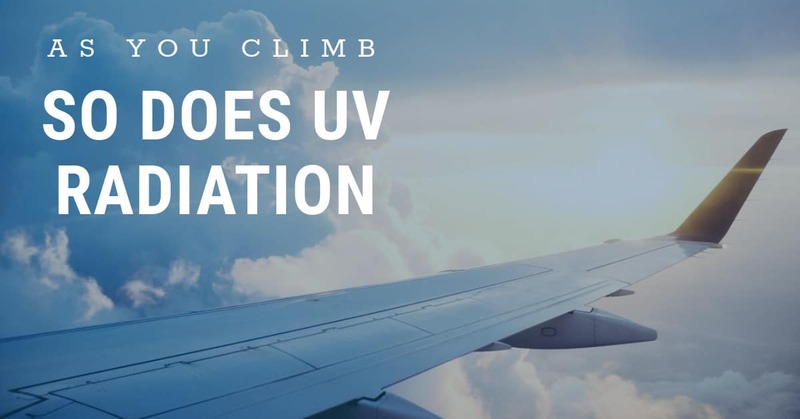 And, it can be even higher when flying over thick clouds and snow fields, which can reflect UV radiation!This extended exposure puts pilots at increased risk of melanoma and skin cancer. Blocking unhealthy UV is strongly suggested. Sun glare can seriously compromise an aviator’s ability to clearly see instrument panels, especially during critical flight operations where there is less time to react. 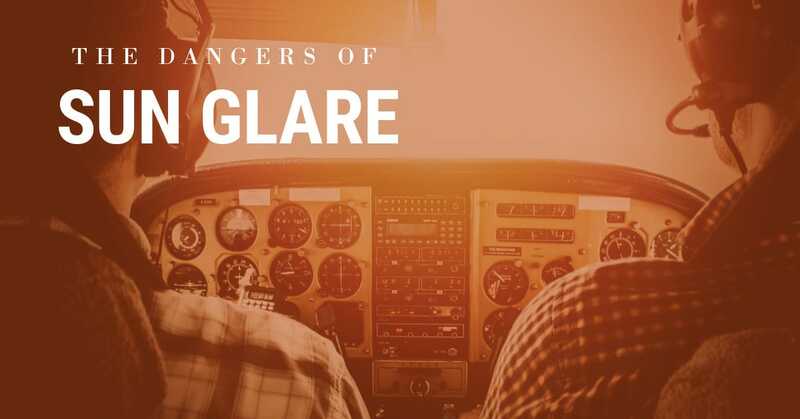 Because life-threatening situations can develop in an instant, reducing glare on cockpit instrumentation can protect pilots from flash-blindness and temporary visual impairment caused during high sun glare situations. Is Flying Putting You at Greater Risk for Skin Cancer? Recent research indicates that pilots face twice the risk of skin cancer compared with the general population. 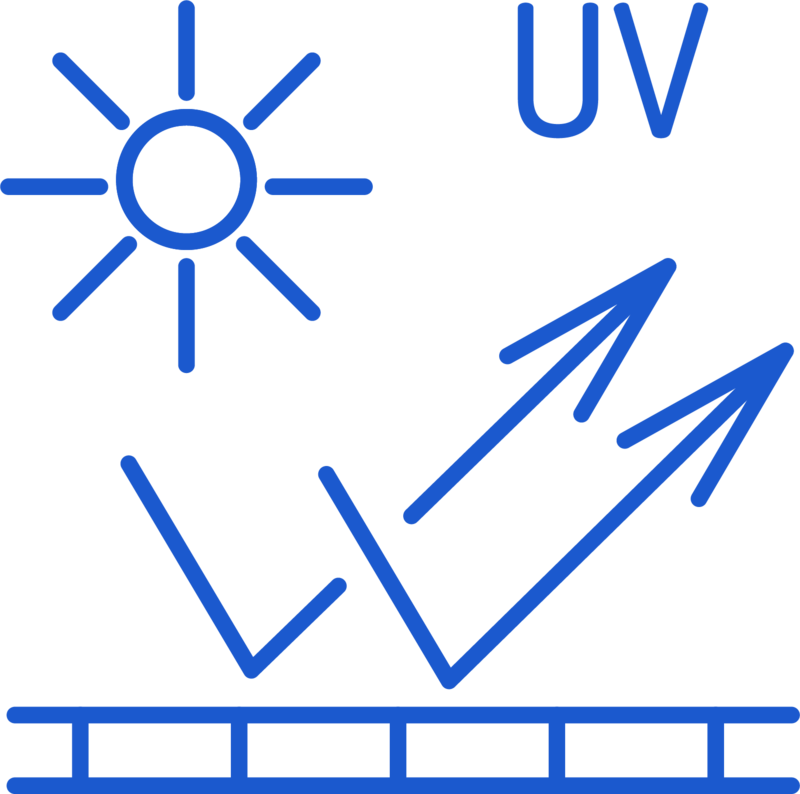 For every additional 3,000 feet of altitude above sea level, there is a 15% increase in intensity of UV radiation. Jet Shades block 99.9% UV radiation and 70% glare - providing instant relief from solar energy. Watch as our pilot installs, adjusts, and removes Jet Shades. 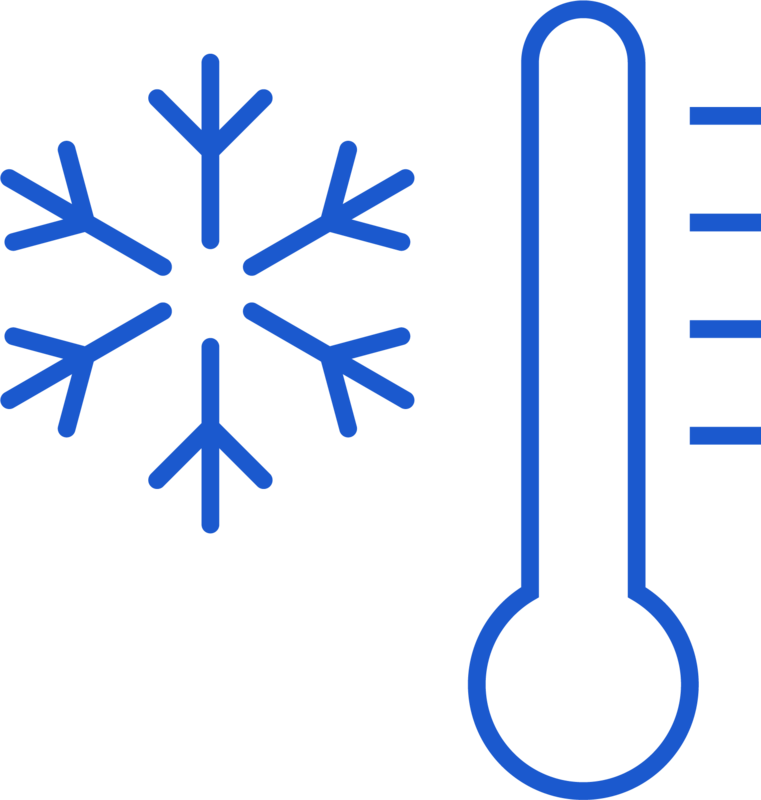 Blocks 99% of harmful UV transmission producing dramatic reduction in cockpit temperatures. Reduces eye strain and keeps instrument panels easy to read in bright light situations. 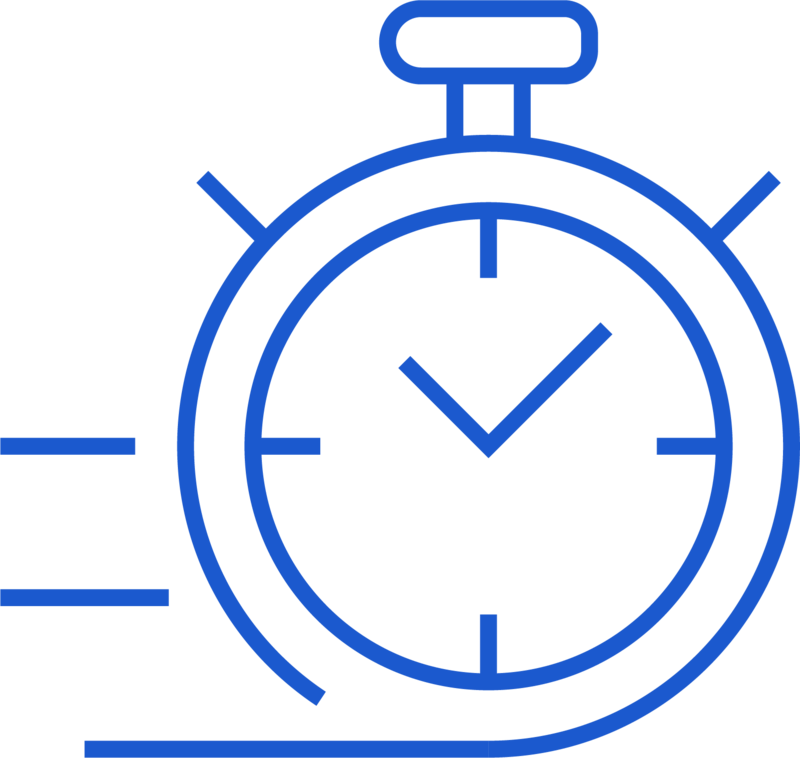 Flexible, patented friction tab, "push-in-place" design installs and removes in seconds.